Democracy’s arm late. Much later than regimes run by strongmen. Because the rate of development of new war fighting aircraft in the 1930’s was a lot like the development of software in the last few decades; pre-war Britain saw lots of entrants to the market, few successes and a whole lot of loss due to the delay. No one remembers the also ran’s, the aircraft failures that somehow got off the drawing board and unfortunately in to combat. 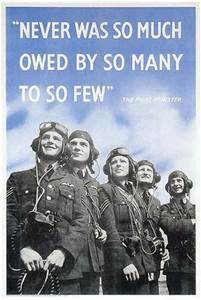 Lets consider the early entries to the service of the RAF prior to the start of the Battle of Britain this summer 75 years ago. 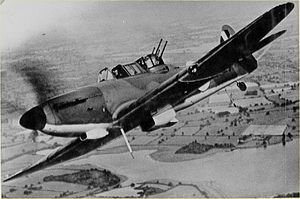 The Fairey Battle was representative of many theories floating around at the time. Basically the idea was a single engine craft with a typical crew of 3 might be able to act as a fighter bomber; quickly carrying ordinance to a target, then fighting its way out. This worked well in the surprise attack on Pearl Harbor by Japanese aircraft that looked a lot like this, but they encountered few fighters and limited ground fire that day. Conversely in France up against the Luftwaffe head to head, this model was literally an albatross, slow and with little maneuverability. The Bolton Paul Defiant really is puzzling. The idea was the truly effective rear firing turret that appeared in many of the British bombers also could work as a fighter. Right. Notwithstanding it’s remarkable resemblance to a Hawker Hurricane, which frankly really carried the Battle of France and Britain for the allies, the Defiant had no forward firing guns. After a few costly mistakes the Germans figured it out: Attack this airplane front on. Game over. The Defiant was withdrawn from combat very early. 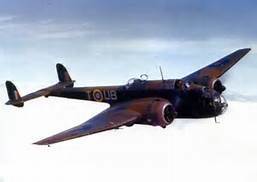 The Blenheim Bomber was a mainstay in the offensive capability of Bomber Command not just during the Battle of Britain, but through 1941. Shipping, power plants, and critically, the invasion barges the Germans were the targets of this troubled, inadequate, but heroically crewed airplane. The men really had no choice. Go on missions with this aircraft to stall the Germans or not at all and face invasion. True Grit. Note the rear turret looks much the same as on the Bolton Paul Defiant. 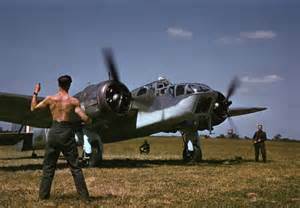 Yet the rest of the armaments of this bomber were poor, one gun in the port wing for forward offense. Sometimes in the nose there was a rear firing gun. 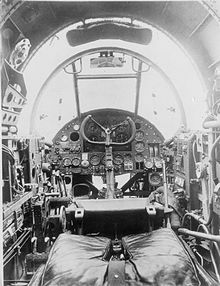 I have yet to know who on this aircraft would know what to fire at from that position, but yet many were produced. The bomb bay doors opened when the weight of the released bomb struck them, then bounced back by bungee cord after bombs away. Not a great design. Casualty rates of 30% or greater in operations of this bomber were not uncommon, and occasionally 100%. 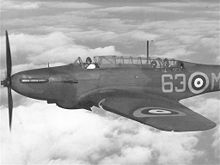 The best tactic for the Blenheim was to fly low to the sea or ground to surprise the enemy. The sea and ground sometimes surprised the pilot and crew, and they caught a propeller on a wave or worse. But mostly the reports of lost aircraft of this type all seem to start with “Last seen with port engine on fire…” or “Last seen losing altitude and heading for Ameland….” which was a German held island off the Dutch coast. 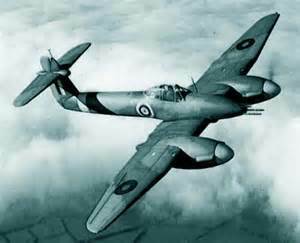 The Westland Whirlwind. This fighter should have worked, yet it seemed deeply flawed, unable to compete not against the Nazi aircraft, but the Spitfire, which was just a better airplane. Few were built. Like the Spitfire it represented a quantum leap in design and construction yet the resources were just not there to build both. 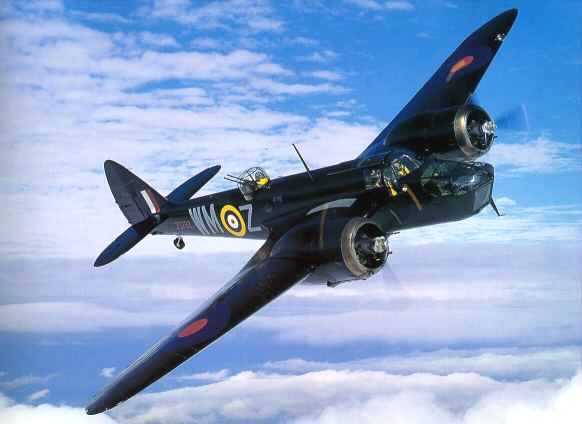 The Handley Page Hampden . Wow, what a little box this was. Look at the cockpit. The back rest for the pilot folds down to allow access to the controls, it folds down to allow the bombardier to reach his station. The crews called it the flying suitcase. Oddly however this little beast could more than three times the weight of the Bristol Blenheim. There seemed to be a recognition early on none of these areoplanes are were going to cut it. By 1943 they had all been withdrawn from combat in favor of bigger faster and more competent bombers and fighters. But this is the way any innovation goes, there are trial and error periods, we learn what will work and what will not. Unfortunately for the crews of these albatross airships, they often paid the ultimate price for the knowledge.